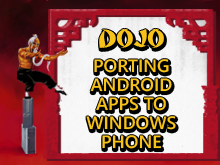 Just like the ancient art of taekwondo where students earn different belts on their way to becoming a black belt, join one or all of the upcoming Developer Dojos to further your development skills and help you prepare to reach new mastery levels. Each level you successfully complete gets you closer to the ultimate goal – becoming an esteemed "Code Sensei." 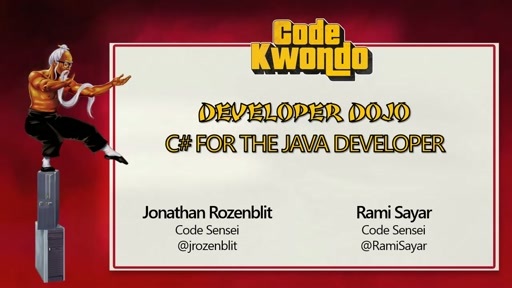 In this dojo, Code Sensei Rami Sayar introduces seasoned Android developers to Windows Phone development. He provides an overview of the platform and teaches developers how to transfer existing toolsets to Windows. He walks through Visual Studio and the emulators, and includes an introduction to C# for Java developers. Lastly, he dives into the application lifecycle model and compares it to Android.